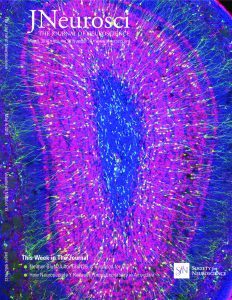 Cebrián-Silla A, Alfaro-Cervelló C, Herranz-Pérez V, Kaneko N, Park DH, Sawamoto K, Alvarez-Buylla A, Lim DA, García-Verdugo JM (2017) Unique organization of the nuclear envelope in the post-natal quiescent neural stem cells. Stem Cell Reports pii: S2213-6711(17)30231-X. doi: 10.1016/j.stemcr.2017.05.024. Suyama S, Sunabori T, Kanki H, Sawamoto K, Gachet C, Koizumi S, Okano H (2012) Purinergic signaling promotes proliferation of adult mouse subventricular zone cells. J Neurosci 32: 9238-9247. Shinohara R, Thumkeo D, Kamijo H, Kaneko N, Sawamoto K, Watanabe K, Takebayashi H, Kiyonari H, Ishizaki T, Furuyashiki T, Narumia S (2012) A role for mDia, a Rho-regulated actin nucleator, in tangential migration of interneuron precursors. Nat Neurosci 15: 373-380. Kato S, Aoyama M, Kakita H, Hida H, Kato I, Ito T, Goto T, Hussein MH, Sawamoto K, Togari H, Asai K (2011) Endogenous erythropoietin from astrocyte protects the oligodendrocyte precursor cell against hypoxic and reoxygenation injury. J Neurosci Res 89:1566-1574. 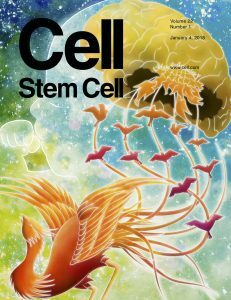 Yamane J, Ishibashi S, Sakaguchi M, Kuroiwa T, Kanemura Y, Nakamura M, Miyoshi H, Sawamoto K, Toyama Y, Mizusawa H, Okano H (2011) Transplantation of human neural stem/progenitor cells overexpressing Galectin-1 improves functional recovery from focal brain ischemia in the Mongolian gerbil. Mol Brain 4:35. Imaizumi Y, Sakaguchi M, Morishita T, Ito M, Poirier F, Sawamoto K, Okano H (2011) Galectin-1 is expressed in early-type neural progenitor cells and down-regulates neurogenesis in the adult hippocampus. Mol Brain 4:7. Shimada M, Haruta M, Niida H, Sawamoto K, Nakanishi M (2010) Protein phosphatase 1gamma is responsible fordephosphorylation of histone H3 at Thr 11 after DNA damage. EMBO Rep 11:883-889. Sakaguchi M, Imaizumi Y, Shingo T, Tada H, Hayama K, Yamada O, Morishita T, Kadoya T, Uchiyama N, Shimazaki T, Kuno A, Poirier F, Hirabayashi J, Sawamoto K, Okano H (2010) Regulation of adult neural progenitor cells by Galectin-1/beta1 Integrin interaction. J Neurochem 113:1516-1524. Mirzadeh Z, Doetsch F, Sawamoto K, Wichterle H, Alvarez-Buylla A (2010) The subventricular zone en-face: wholemount staining and ependymal flow. J Vis Exp:http://www.jove.com/index/details.stp id=1938, doi: 1910.3791/1938. Tamase A, Muraguchi T, Naka K, Tanaka S, Kinoshita M, Hoshii T, Ohmura M, Shugo H, Ooshio T, Nakada M, Sawamoto K, Onodera M, Matsumoto K, Oshima M, Asano M, Saya H, Okano H, Suda T, Hamada J, Hirao A (2009) Identification of tumor-initiating cells in a highly aggressive brain tumor using promoter activity of nucleostemin. Proc Natl Acad Sci U S A 106:17163-17168. Suzuki T, Miyamoto H, Nakahari T, Inoue I, Suemoto T, Jiang B, Hirota Y, Itohara S, Saido TC, Tsumoto T, Sawamoto K, Hensch TK, Delgado-Escueta AV, Yamakawa K (2009) Efhc1 deficiency causes spontaneous myoclonus and increased seizure susceptibility. Hum Mol Genet 18:1099-1109. Enomoto A, Asai N, Namba T, Wang Y, Kato T, Tanaka M, Tatsumi H, Taya S, Tsuboi D, Kuroda K, Kaneko N, Sawamoto K, Miyamoto R, Jijiwa M, Murakumo Y, Sokabe M, Seki T, Kaibuchi K, Takahashi M (2009) Roles of disrupted-in-schizophrenia 1-interacting protein girdin in postnatal development of the dentate gyrus. Neuron 63:774-787. Sunabori T, Tokunaga A, Nagai T, Sawamoto K, Okabe M, Miyawaki A, Matsuzaki Y, Miyata T, Okano H (2008) Cell-cycle-specific nestin expression coordinates with morphological changes in embryonic cortical neural progenitors. J Cell Sci 121:1204-1212. Kohyama J, Kojima T, Takatsuka E, Yamashita T, Namiki J, Hsieh J, Gage FH, Namihira M, Okano H, Sawamoto K, Nakashima K (2008) Epigenetic regulation of neural cell differentiation plasticity in the adult mammalian brain. Proc Natl Acad Sci U S A 105:18012-18017. Yamashima T, Popivanova BK, Guo J, Kotani S, Wakayama T, Iseki S, Sawamoto K, Okano H, Fujii C, Mukaida N, Tonchev AB (2006) Implication of “Down syndrome cell adhesion molecule” in the hippocampal neurogenesis of ischemic monkeys. Hippocampus 16:924-935. Toriya M, Tokunaga A, Sawamoto K, Nakao K, Okano H (2006) Distinct functions of human numb isoforms revealed by misexpression in the neural stem cell lineage in the Drosophila larval brain. Dev Neurosci 28:142-155. Tonchev AB, Yamashima T, Sawamoto K, Okano H (2006) Transcription factor protein expression patterns by neural or neuronal progenitor cells of adult monkey subventricular zone. Neuroscience 139:1355-1367. Sakaguchi M, Shingo T, Shimazaki T, Okano HJ, Shiwa M, Ishibashi S, Oguro H, Ninomiya M, Kadoya T, Horie H, Shibuya A, Mizusawa H, Poirier F, Nakauchi H, Sawamoto K, Okano H (2006) A carbohydrate-binding protein, Galectin-1, promotes proliferation of adult neural stem cells. Proc Natl Acad Sci U S A 103:7112-7117. Miyagi S, Nishimoto M, Saito T, Ninomiya M, Sawamoto K, Okano H, Muramatsu M, Oguro H, Iwama A, Okuda A (2006) The Sox2 regulatory region 2 functions as a neural stem cell-specific enhancer in the telencephalon. J Biol Chem 281:13374-13381. Yamashita T, Sawamoto K, Suzuki S, Suzuki N, Adachi K, Kawase T, Mihara M, Ohsugi Y, Abe K, Okano H (2005) Blockade of interleukin-6 signaling aggravates ischemic cerebral damage in mice: possible involvement of Stat3 activation in the protection of neurons. J Neurochem 94:459-468. Tonchev AB, Yamashima T, Sawamoto K, Okano H (2005) Enhanced proliferation of progenitor cells in the subventricular zone and limited neuronal production in the striatum and neocortex of adult macaque monkeys after global cerebral ischemia. J Neurosci Res 81:776-788. Suzuki S, Yamashita T, Tanaka K, Hattori H, Sawamoto K, Okano H, Suzuki N (2005) Activation of cytokine signaling through leukemia inhibitory factor receptor (LIFR)/gp130 attenuates ischemic brain injury in rats. J Cereb Blood Flow Metab 25:685-693. Kanuka H, Hiratou T, Igaki T, Kanda H, Kuranaga E, Sawamoto K, Aigaki T, Okano H, Miura M (2005) Gain-of-function screen identifies a role of the Sec61alpha translocon in Drosophila postmitotic neurotoxicity. Biochim Biophys Acta 1726:225-237. Hirota Y, Sawamoto K, Takahashi K, Ueda R, Okano H (2005) The transmembrane protein, Tincar, is involved in the development of the compound eye in Drosophila melanogaster. Dev Genes Evol 215:90-96. Yoshizaki T, Inaji M, Kouike H, Shimazaki T, Sawamoto K, Ando K, Date I, Kobayashi K, Suhara T, Uchiyama Y, Okano H (2004) Isolation and transplantation of dopaminergic neurons generated from mouse embryonic stem cells. Neurosci Lett 363:33-37. Yamashima T, Tonchev AB, Vachkov IH, Popivanova BK, Seki T, Sawamoto K, Okano H (2004) Vascular adventitia generates neuronal progenitors in the monkey hippocampus after ischemia. Hippocampus 14:861-875. Unezaki S, Nishizawa M, Okuda-Ashitaka E, Masu Y, Mukai M, Kobayashi S, Sawamoto K, Okano H, Ito S (2004) Characterization of the isoforms of MOVO zinc finger protein, a mouse homologue of Drosophila Ovo, as transcription factors. Gene 336:47-58. 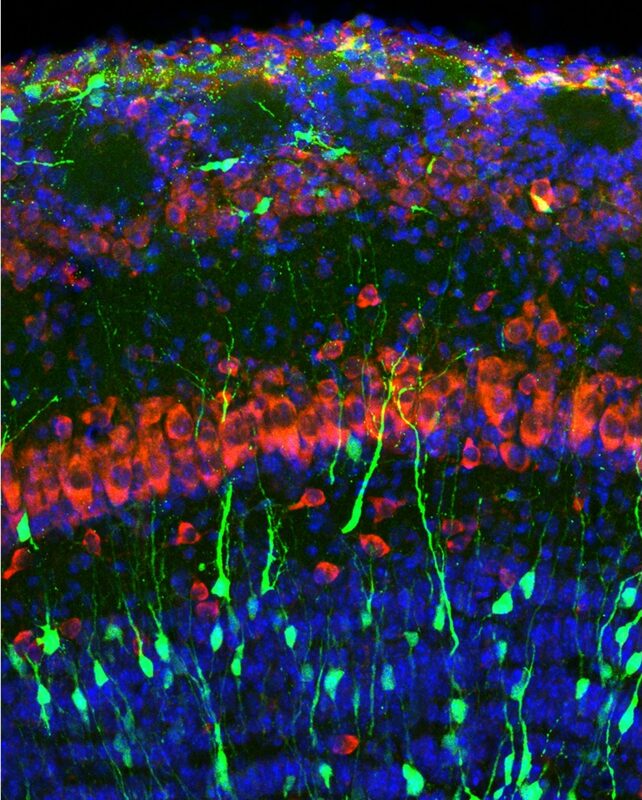 Tokunaga A, Kohyama J, Yoshida T, Nakao K, Sawamoto K, Okano H (2004) Mapping spatio-temporal activation of Notch signaling during neurogenesis and gliogenesis in the developing mouse brain. J Neurochem 90:142-154. Uchida M, Hanai S, Uematsu N, Sawamoto K, Okano H, Miwa M, Uchida K (2002) Overexpression of poly(ADP-ribose) polymerase disrupts organization of cytoskeletal F-actin and tissue polarity in Drosophila. J Biol Chem 277:6696-6702. 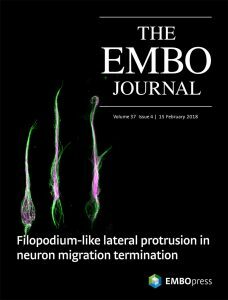 Ogawa Y, Sawamoto K, Miyata T, Miyao S, Watanabe M, Nakamura M, Bregman BS, Koike M, Uchiyama Y, Toyama Y, Okano H (2002) Transplantation of in vitro-expanded fetal neural progenitor cells results in neurogenesis and functional recovery after spinal cord contusion injury in adult rats. J Neurosci Res 69:925-933. Kuranaga E, Kanuka H, Igaki T, Sawamoto K, Ichijo H, Okano H, Miura M (2002) Reaper-mediated inhibition of DIAP1-induced DTRAF1 degradation results in activation of JNK in Drosophila. Nat Cell Biol 4:705-710. Hirota Y, Sawamoto K, Okano H (2002) tincar encodes a novel transmembrane protein expressed in the Tinman-expressing cardioblasts of Drosophila. Mech Dev 119 Suppl 1:S279-283. Uchida M, Hanai S, Uematsu N, Sawamoto K, Okano H, Miwa M, Uchida K (2001) Genetic and functional analysis of PARP, a DNA strand break-binding enzyme. Mutat Res 477:89-96. Sawamoto K, Yamamoto A, Kawaguchi A, Yamaguchi M, Mori K, Goldman SA, Okano H (2001) Direct isolation of committed neuronal progenitor cells from transgenic mice coexpressing spectrally distinct fluorescent proteins regulated by stage-specific neural promoters. J Neurosci Res 65:220-227. Sawamoto K, Nakao N, Kobayashi K, Matsushita N, Takahashi H, Kakishita K, Yamamoto A, Yoshizaki T, Terashima T, Murakami F, Itakura T, Okano H (2001) Visualization, direct isolation, and transplantation of midbrain dopaminergic neurons. Proc Natl Acad Sci U S A 98:6423-6428. Sawamoto K, Nakao N, Kakishita K, Ogawa Y, Toyama Y, Yamamoto A, Yamaguchi M, Mori K, Goldman SA, Itakura T, Okano H (2001) Generation of dopaminergic neurons in the adult brain from mesencephalic precursor cells labeled with a nestin-GFP transgene. J Neurosci 21:3895-3903. Kawaguchi A, Miyata T, Sawamoto K, Takashita N, Murayama A, Akamatsu W, Ogawa M, Okabe M, Tano Y, Goldman SA, Okano H (2001) Nestin-EGFP transgenic mice: visualization of the self-renewal and multipotency of CNS stem cells. Mol Cell Neurosci 17:259-273. Taguchi A, Sawamoto K, Okano H (2000) Mutations modulating the Argos-regulated signaling pathway in Drosophila eye development. Genetics 154:1639-1648. Tabuchi K, Sawamoto K, Suzuki E, Ozaki K, Sone M, Hama C, Tanifuji-Morimoto T, Yuasa Y, Yoshihara Y, Nose A, Okano H (2000) GAL4/UAS-WGA system as a powerful tool for tracing Drosophila transsynaptic neural pathways. J Neurosci Res 59:94-99. Kaneko Y, Sakakibara S, Imai T, Suzuki A, Nakamura Y, Sawamoto K, Ogawa Y, Toyama Y, Miyata T, Okano H (2000) Musashi1: an evolutionally conserved marker for CNS progenitor cells including neural stem cells. Dev Neurosci 22:139-153. Jin MH, Sawamoto K, Ito M, Okano H (2000) The interaction between the Drosophila secreted protein argos and the epidermal growth factor receptor inhibits dimerization of the receptor and binding of secreted spitz to the receptor. Mol Cell Biol 20:2098-2107. Igaki T, Kanuka H, Inohara N, Sawamoto K, Nunez G, Okano H, Miura M (2000) Drob-1, a Drosophila member of the Bcl-2/CED-9 family that promotes cell death. Proc Natl Acad Sci U S A 97:662-667. Yoshihara Y, Mizuno T, Nakahira M, Kawasaki M, Watanabe Y, Kagamiyama H, Jishage K, Ueda O, Suzuki H, Tabuchi K, Sawamoto K, Okano H, Noda T, Mori K (1999) A genetic approach to visualization of multisynaptic neural pathways using plant lectin transgene. Neuron 22:33-41. Sawamoto K, Yamada C, Kishida S, Hirota Y, Taguchi A, Kikuchi A, Okano H (1999) Ectopic expression of constitutively activated Ral GTPase inhibits cell shape changes during Drosophila eye development. Oncogene 18:1967-1974. Sawamoto K, Winge P, Koyama S, Hirota Y, Yamada C, Miyao S, Yoshikawa S, Jin MH, Kikuchi A, Okano H (1999) The Drosophila Ral GTPase regulates developmental cell shape changes through the Jun NH(2)-terminal kinase pathway. J Cell Biol 146:361-372. Kanuka H, Sawamoto K, Inohara N, Matsuno K, Okano H, Miura M (1999) Control of the cell death pathway by Dapaf-1, a Drosophila Apaf-1/CED-4-related caspase activator. Mol Cell 4:757-769. Kanuka H, Hisahara S, Sawamoto K, Shoji S, Okano H, Miura M (1999) Proapoptotic activity of Caenorhabditis elegans CED-4 protein in Drosophila: implicated mechanisms for caspase activation. Proc Natl Acad Sci U S A 96:145-150. Hirota Y, Okabe M, Imai T, Kurusu M, Yamamoto A, Miyao S, Nakamura M, Sawamoto K, Okano H (1999) Musashi and seven in absentia downregulate Tramtrack through distinct mechanisms in Drosophila eye development. Mech Dev 87:93-101. Fujimoto J, Sawamoto K, Okabe M, Takagi Y, Tezuka T, Yoshikawa S, Ryo H, Okano H, Yamamoto T (1999) Cloning and characterization of Dfak56, a homolog of focal adhesion kinase, in Drosophila melanogaster. J Biol Chem 274:29196-29201. Tabuchi K, Yoshikawa S, Yuasa Y, Sawamoto K, Okano H (1998) A novel Drosophila paired-like homeobox gene related to Caenorhabditis elegans unc-4 is expressed in subsets of postmitotic neurons and epidermal cells. Neurosci Lett 257:49-52. Sawamoto K, Taguchi A, Hirota Y, Yamada C, Jin MH, Okano H (1998) Argos induces programmed cell death in the developing Drosophila eye by inhibition of the Ras pathway. Cell Death Differ 5:262-270. Saito T, Sawamoto K, Okano H, Anderson DJ, Mikoshiba K (1998) Mammalian BarH homologue is a potential regulator of neural bHLH genes. Dev Biol 199:216-225. Sawamoto K, Takahashi N (1997) Modulation of hepatocyte function by changing the cell shape in primary culture. In Vitro Cell Dev Biol Anim 33:569-574. Sawamoto K, Okabe M, Tanimura T, Mikoshiba K, Nishida Y, Okano H (1996) The Drosophila secreted protein Argos regulates signal transduction in the Ras/MAPK pathway. Dev Biol 178:13-22. Sawamoto K, Okabe M, Tanimura T, Hayashi S, Mikoshiba K, Okano H (1996) argos Is required for projection of photoreceptor axons during optic lobe development in Drosophila. Dev Dyn 205:162-171. Okabe M, Sawamoto K, Okano H (1996) The function of the Drosophila argos gene product in the development of embryonic chordotonal organs. Dev Biol 175:37-49. Sawamoto K, Takahashi N (1995) Changes in the organelle arrangement in primary cultured hepatocytes following the formation of cytoskeleton. Int J Tissue React 17:205-210. Sawamoto K, Okano H, Kobayakawa Y, Hayashi S, Mikoshiba K, Tanimura T (1994) The function of argos in regulating cell fate decisions during Drosophila eye and wing vein development. Dev Biol 164:267-276. Okano H, Yoshikawa S, Suzuki A, Ueno N, Kaizu M, Okabe M, Takahashi T, Matsumoto M, Sawamoto K, Mikoshiba K (1994) Cloning of a Drosophila melanogaster homologue of the mouse type-I bone morphogenetic proteins-2/-4 receptor: a potential decapentaplegic receptor. Gene 148:203-209. Okano H, Hayashi S, Tanimura T, Sawamoto K, Yoshikawa S, Watanabe J, Iwasaki M, Hirose S, Mikoshiba K, Montell C (1992) Regulation of Drosophila neural development by a putative secreted protein. Differentiation 52:1-11.